Residential Rental Listing 3 bed 1 bath in Livermore, CA. Occupied Home. Please do not trespass or disturb occupants. Available mid May. 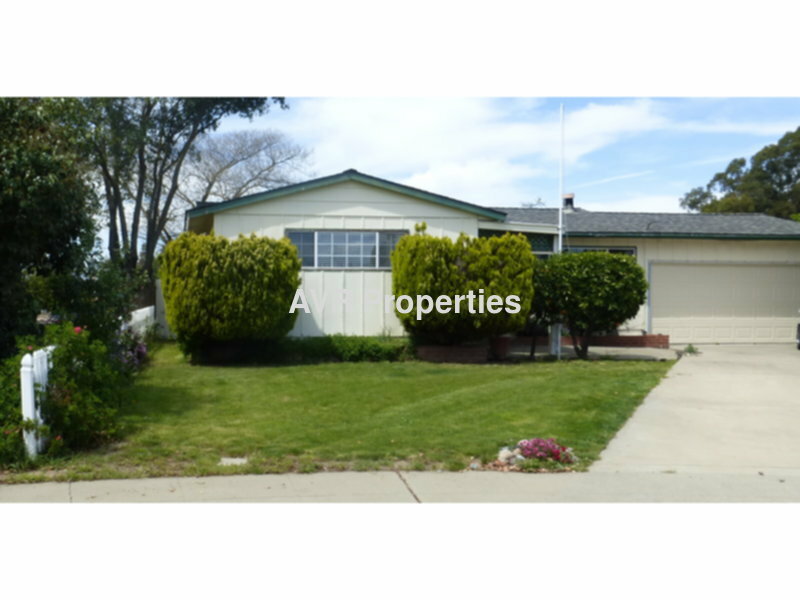 This south Livermore three bedroom, one bath, two car garage will be renting for $2550. Deposit $2750 (up to two 35 pound non-aggressive pets are negotiable, please contact for pet policy). This home features a long driveway, two car garage, large front facing living room widow, formal dining room, a kitchen with fridge, oven/range, dishwasher, window over sink, an island for preparing food, and easy back yard access. The back yard has a grassy area, and a shed. There are three bedrooms, and a full hall bathroom with shower over tub. There is a wall heater and whole house fan but no air conditioning. Multiple fruit trees front and back. This home is located near the railroad. You will hear trains. This home is occupied. For your own safety, please do not trespass or disturb occupants. Sorry, not a section 8 property. Broker co-op. Photos taken prior to current occupants move in.